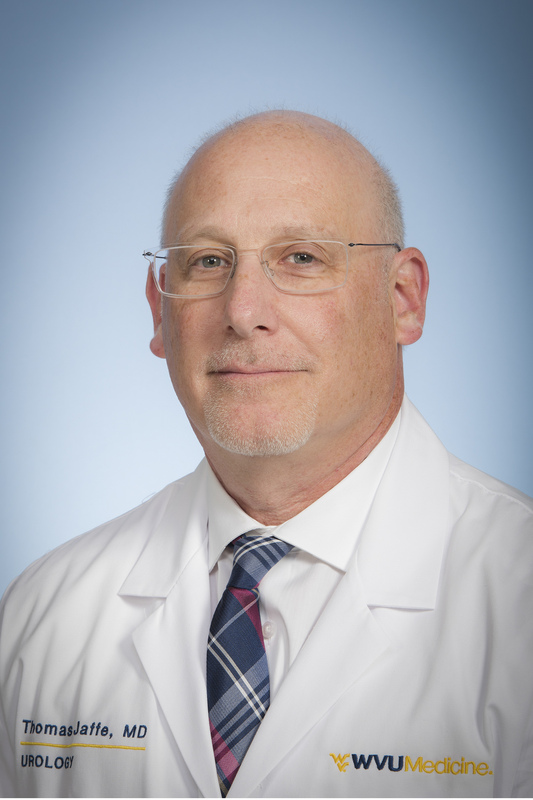 MORGANTOWN, W.Va. – Thomas Jaffe, M.D., a urologist who specializes in male reproductive medicine, has joined the WVU Center for Reproductive Medicine. Jaffe came to WVU Medicine from the University of Pittsburgh Medical Center, where he was director of male reproductive medicine and surgery. He received his medical degree from Case Western Reserve University in Cleveland, Ohio. He then completed residencies in general surgery and urology at Boston University. During his residency, Jaffe developed an interest in male infertility, erectile dysfunction, and Peyronie’s disease, which prompted his decision to receive fellowship training in male reproductive medicine and surgery at Baylor University in Houston, Texas. His fellowship training included microsurgical reconstruction of the male reproductive tract, including vasectomy reversal. According to the Centers for Disease Control and Prevention, a male factor is identified along with a female factor in approximately 35 percent of couples with infertility. A male factor is the only identifiable cause in about 8 percent of couples. In addition, almost 9 percent of men age 25-44 in the U.S. reported that they or their partner sought out a doctor for advice, testing, or treatment for infertility during their lifetime. To schedule an appointment with Jaffe, call 855-WVU-CARE (855-988-2273).